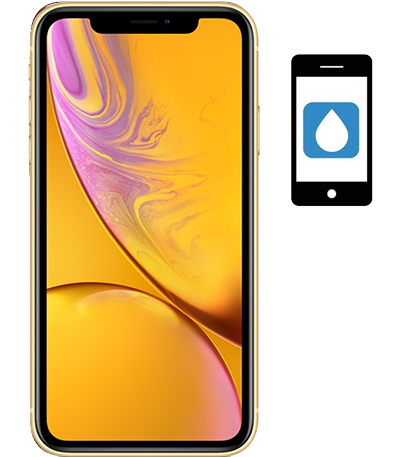 iPhone XR Water or Liquid Damaged Repair Service at Applesolution. We provide a ✓ free pickup & drop ✓ free quick diagnosis ✓ quote before repair ✓ no fix - no charge. We have our repair chain in Powai - Mumbai, Goregaon - Mumbai, Naupada - Thane West & Sanpada - Navi Mumbai. Let our professionals complete the free liquid damage diagnostic process on your device. In the diagnosis process our trained and experienced technicians will see which components still working and what spares need to be replaced. Once pinpoints the repair and components needed, they will contact you with a repair quote and time frame for completion only if it is repairable. If not, then you will be not charged for single penny. iphone XR not getting on after drowned. iphone XR not working after slipped to water. iphone XR not getting start after using it into pool.